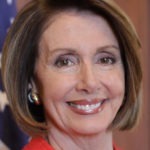 Nancy Pelosi is now officially the Speaker of the House, thanks to a roll call vote this afternoon making it official. She and the Democratic Party were given control of the House partly because the public wants Donald Trump brought to justice, and Pelosi is wasting absolutely no time in that regard. It would make no strategic sense for House Democrats to begin the impeachment process against Donald Trump until Special Counsel Robert Mueller is ready to deliver his final report, which is still at least a few more weeks away. Nancy Pelosi acknowledged this during her big Today Show television interview this morning. She also dropped a bomb directly on Trump’s head during that interview, and it may point to part of the strategy for taking Trump down. Nancy Pelosi was asked whether she agreed with the longstanding but non-binding and never-tested Department of Justice memo recommending that a sitting President not be indicted. Pelosi said point blank that she doesn’t think that guideline counts for anything, and that she’s open to the possibility of Donald Trump being indicted while he’s still in office. Why is this so important? Impeachment is the long and difficult road to ousting Donald Trump. The House impeachment proceedings alone would take several months, before even getting to a Senate impeachment trial, which would need twenty Republican Senators on board in order to remove him. The shorter road to ousting Trump is to use criminal justice maneuvers that leave him with no choice but to resign if he wants any chance of avoiding prison. Indicting Trump while he’s in office is a big part of that strategy – and Nancy Pelosi is clearly willing to go there.